The conservation conditions of boza are very important because it is a fermented beverage made of millet semolina, water and sugar and where beneficial food bacteria live. Because of this reason, it is sold in special packages. Great care should be taken of hygiene and the sterilized environment during its bottling process. It embodies vitamins B1-B2-B3-B6-B12 and Lactic acid. It does not contain Gluten; people who have celiac disease can consume it. 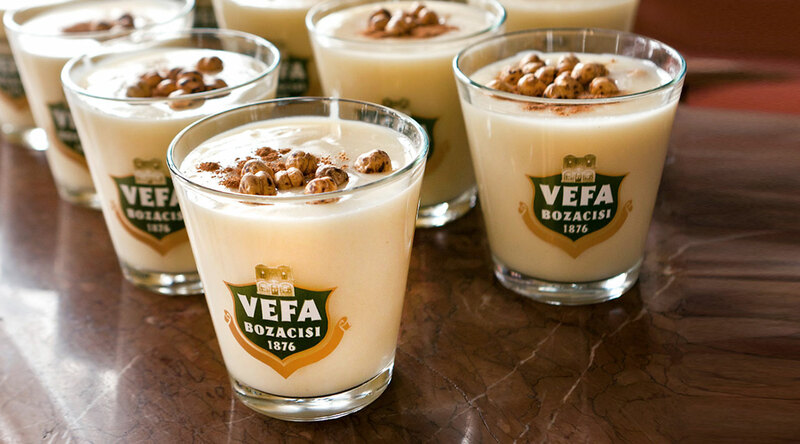 A glass of Boza is 200 cc and it has 186 K/cal. Its protein amount is 2.4 %, its fiber rate is 4.08 % and its fat rate is 0.2 %. 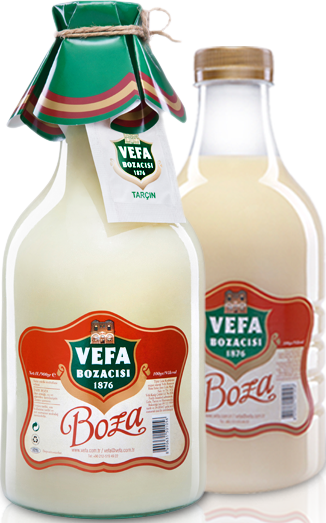 Vefa Boza is sold as 1 lt in exclusive shops in special packages.